Although Caribbean officials offered a predictably mixed first-half 2018 visitor arrivals picture at a major industry gathering last week, several said data from the six-month mark provides hope the region will rebound quickly to resume the strong growth achieved prior to last year’s devastating hurricanes. Most Caribbean destinations unaffected by Hurricanes Irma and Maria, in fact, reported strong overnight, land-based visitor growth for the first six months of 2018, said officials at the Caribbean Tourism Organization (CTO)’s “State of the Industry” conference. 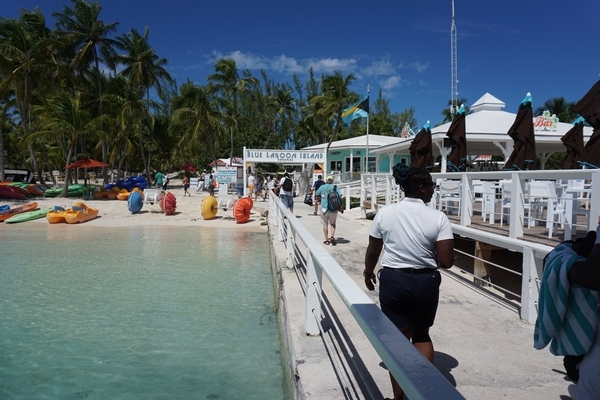 Although Caribbean land arrivals are expected to drop “three to four percent” this year, said Hugh Riley, CTO’s secretary general, the group projects a 4.3 percent increase for Caribbean destinations in 2019. Cruise ship visits, conversely, are expected to grow by five to six percent this year. “Our countries are at various stages of recovery, but the countries that were not affected at all physically are also doing an effective job of recovery,” Riley said. “[Although] they weren’t affected physically, many countries among the 75 percent of the Caribbean that never got touched by Irma and Maria suffered from the ignorance of geography that the world seems to have about the Caribbean,” he said. “[People] stayed away. Yet while many islands have bounced back strongly, nearly every nation hard hit by last fall’s storms reported a dramatic decline in overnight visitors. Anguilla, Bermuda, Cuba and Puerto Rico all suffered steep declines in land-based visitors in the wake of the hurricanes. In addition, several regional cruise ports impacted by Irma and Maria found their calls diverted to other islands. First-half 2018 cruise arrivals were down 90 percent in the British Virgin Islands, 88.4 percent in Dominica, 27.5 percent in St. Maarten and 22.5 percent in the U.S. Virgin Islands. In many ways, the region remains in recovery mode. Several impacted countries, including Anguilla, Puerto Rico, St. Maarten and the U.S. Virgin Islands, continue to rebuild and re-open major hotel and resort properties while also seeking to re-establish pre-storm flight frequencies. Although the Caribbean welcomed seven million U.S. visitors in the first half of 2018, the figure represents a 15.8 percent decrease compared with the same period in 2017. At sea, the negligible 0.5 percent drop in overall first-half visits somewhat obscures signs of growth. Fifteen of the 23 destinations sharing data reported significant increases, including Martinique (up 54.7 percent) and Trinidad & Tobago (up a whopping 166 percent). Indeed the overall picture is one of continued popularity for the tourism-reliant region. Of the 22 Caribbean destinations that shared first-half data, 13 reported increases ranging from 1.7 to 18.3 percent. The most-visited countries include Belize (up 17.1 percent), the Cayman Islands (15.9 percent), Grenada (10.7 percent) and the Bahamas (10.2 percent). In addition, the Dominican Republic and Jamaica, traditionally among the most-visited of all Caribbean destinations, achieved 6.3 percent and 8.4 percent growth respectively. Of the 11 other destinations reporting increased first-half land arrivals, six totaled double-digit growth.